Good luck with your enquiry. But I think you’ll find that when Marvin says things will be fixed by 2020 he means he will run things close to the wire and up to the deadline. 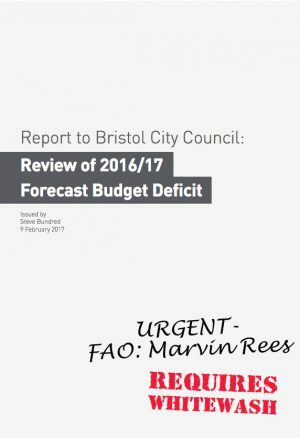 I suggest that you press very strongly around the time of the next election to ensure Bristol taxpayers know what they are voting on.for when it comes to the state of the city, financial and every other aspect. As this city has a terrible history of allowing history to repeat itself with the same mistakes year after year and decade after decade.